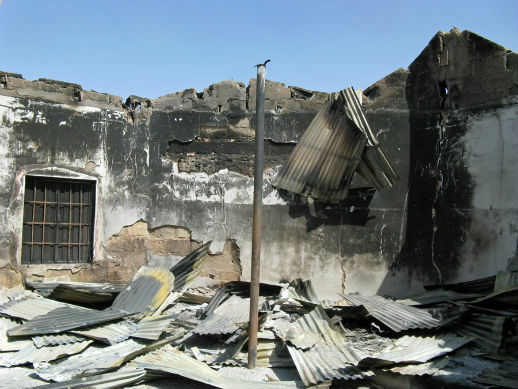 Boko Haram destroyed the Living Faith Church building in Damaturu, Yobe state, in November 2011. According to the US-based Center for the National Interest, Boko Haram became the second deadliest terror group on the planet in 2014. There have always been different opinions regarding what motivates Boko Haram. Noting this rhetoric, the Nigeria Conflict Security Analysis Network, or NCSAN, reports, “Within public discourse in Nigeria as well as scholarly circles, Boko Haram is motivated by religious, ideological factors in addition to relative economic deprivation. Thus, anything un-Islamic should be rejected: Western education, women’s empowerment, democracy, Judeo-Christian history and traditions upon which Western civilization is allegedly constructed.” The group categorically declared Christians infidels. According to NCSAN, Boko Haram also believes what it does is strategically vital “to inspire other Islamic groups and movements to take up arms against Christians” in Nigeria and beyond. There is no debate about the havoc Boko Haram has created in northern and central Nigeria. Data from a variety of sources indicates violence orchestrated by Boko Haram in the northeast led to the death of thousands of civilians. World Watch Research has reason to believe that the majority of them are Christian civilians. This is compounded by the fact that millions of Nigerians — 3.3. million, according to NCSAN — have been forced to leave their homes. Data from the World Watch List, published annually by Open Doors International, in 2015 show that for the 12 months ending Oct. 31, 2014, nearly 2,500 Christians were killed for faith-related reasons by Boko Haram and others. Considering reports that more than 10,000 people were killed in Nigeria by Boko Haram in 2014 alone, of whom it can be safely assumed many were Christians, the World Watch List figure is a conservative one. “The sect has succeeded in establishing a culture of fear, in addition to carrying out unlawful killings, attacks on churches, media houses, schools and the abduction of about 276 female students from Chibok Government Girls Secondary School on April 14, 2014,” NCSAN says, of whom more than 70 percent are Christians. Considering these horrific acts of violence, the focus of the international community and the mainstream media on Boko Haram is justifiable. At the same time, it does not warrant ignoring other regions in the country, such as the bloody Middle Belt region.